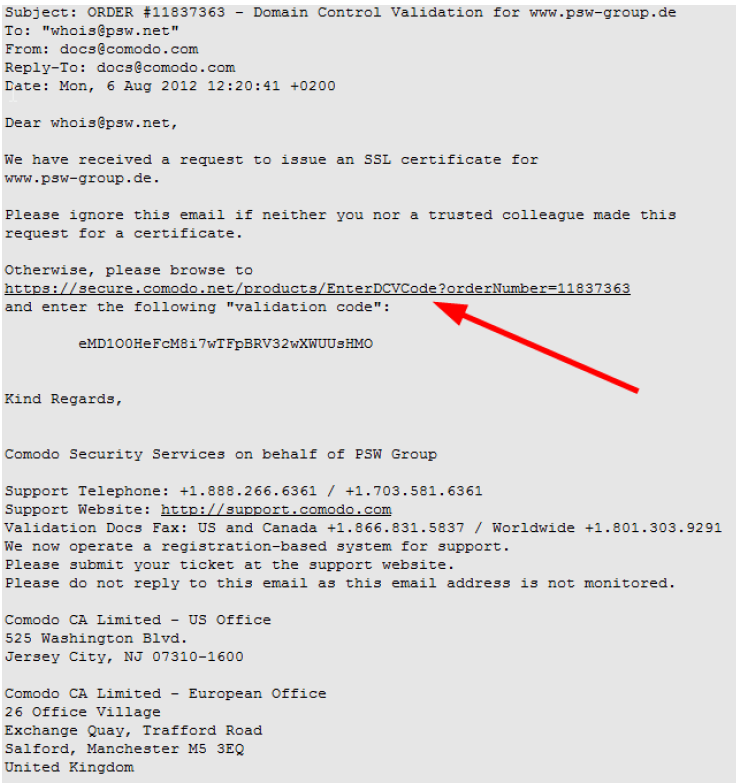 If you have ordered Comodo SSL Certificates through our website, you will receive an email validating your domain ownership. Click on the link and copy the code below the line „…validation code:“. Make sure that the code does not contain any free spaces (simply double-click on the code to mark it). Insert the code in the field provided on the newly opened Comodo website: Insert it in the field provided on the newly opened Comodo website. Click „Next“ to complete the validation process. If everything went smoothly, you will see the following message: Click „Next“ to complete the validation process. If everything worked without any problems, you will see the following message. You can now close the window. Your certificate should be sent to you shortly by e-mail.